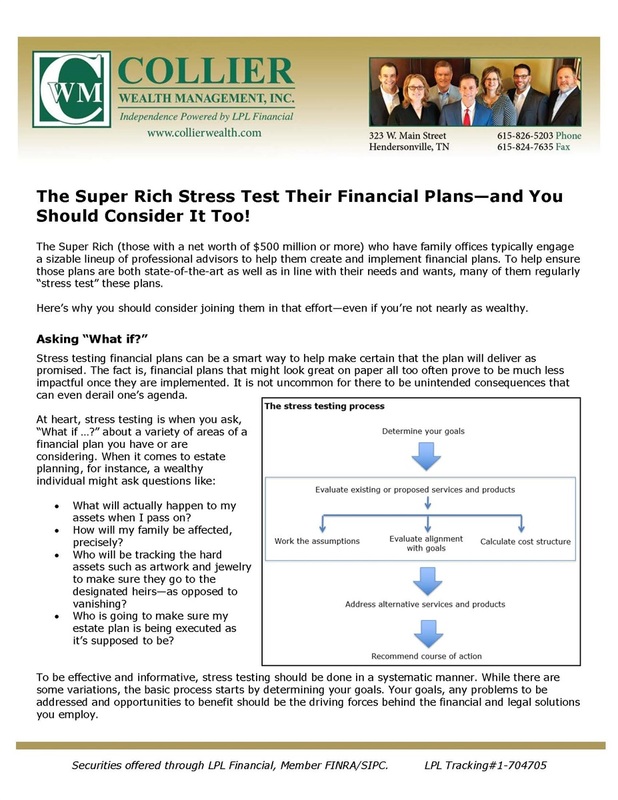 The Super Rich Stress Test Their Financial Plans | Collier Wealth Management, Inc. The Super Rich Stress Test Their Financial Plans - and You Should Consider It Too! Ultra-wealthy individuals and families often “stress test” their financial plans to help make sure the plans will deliver as intended. It’s not unusual for stress tests to uncover flaws in the financial plans as well as better ways to achieve desired outcomes. 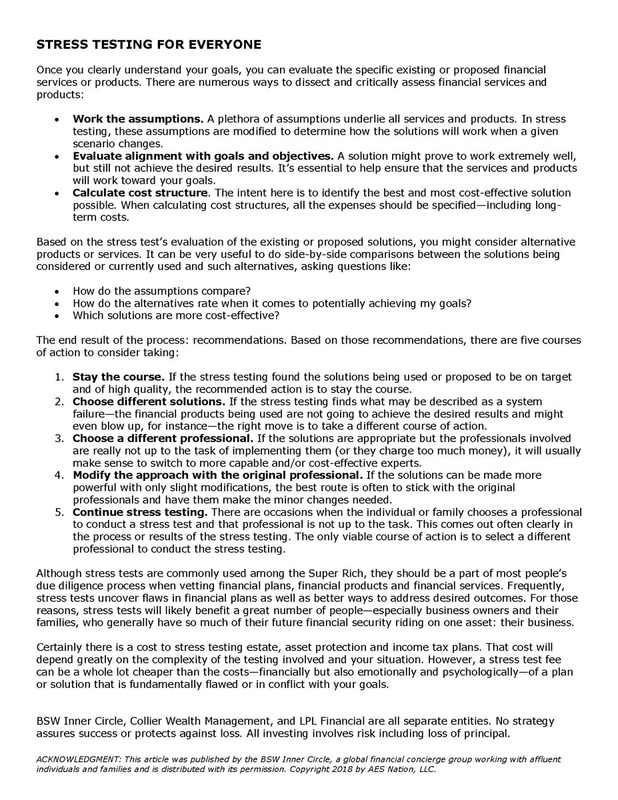 Request your copy of "The Super Rich Stress Test"